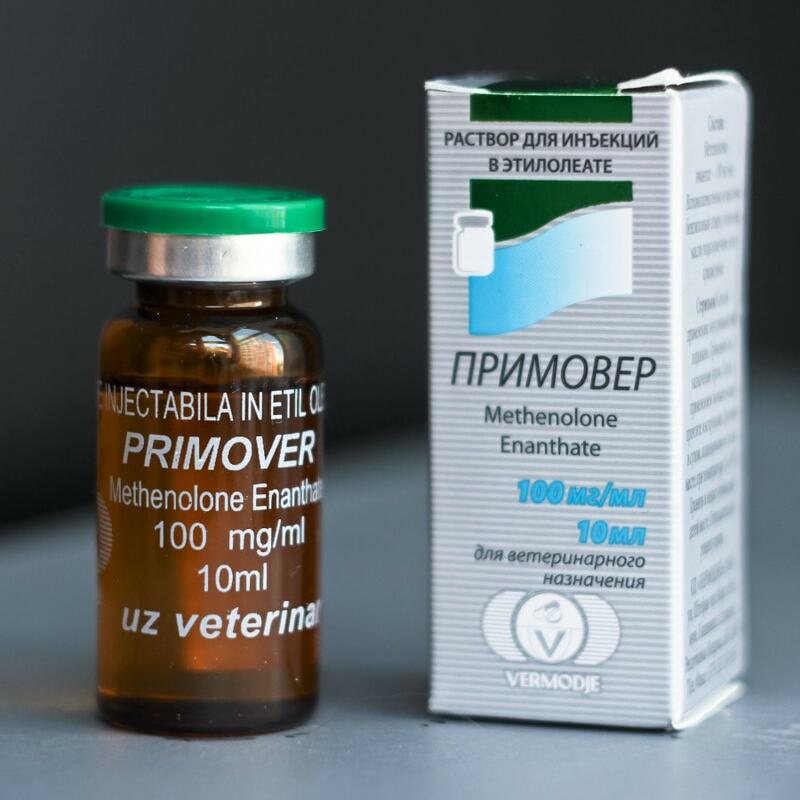 Primover from Vermodje SRL is a modern anabolic steroid drug. It has a high anabolic activity, which is 88%, and also low androgenic activity - about 44%. Today you can buy Primover in Ukraine, both in the form of intramuscular injections, and in the form of tablets. The long-term effect of this steroid is due to a specific chain of ether. Thus, when you receive it, you can expect to achieve a stable hormonal background in a couple of weeks. Sometimes athletes note a small pain when injecting, but more often its isolated cases. Unlike this type, a steroid of this type, produced by manufacturers in tablets, has a shorter period of exposure - only about five hours. The drug is highly effective and has many advantages. ·Does not allow accumulating fatty cells, does not keep unnecessary water in the body of the athlete. ·Has a fairly small percentage of rollback. Passing a solo course does not guarantee a large set of muscle mass, but allows you to keep in normal dry fibers. ·A special feature of the drug is also the lack of aromatization. In the form of injections, as well as in the oral form is not able to convert into estrogens. ·Primover can be used even without parallel intake of special anti-estrogen preparations. It does not cause unpleasant consequences, which include swelling and gynecomastia. ·It has proven itself as a drug that can be used to exit the courses of anabolic steroids. The drug is most often used by professional athletes for the field of obtaining a beautiful relief and is valued for the ability to keep the desired muscle volume for a long time. If you carefully read the instructions and observe the dosage, which is recommended for men in the range of 200 to 400 mg per week, you can quickly see the positive effect of the drug. The Primover course can have a time frame of 8 to 12 weeks. Most often this steroid is combined in a course with Turinabol for a set of pure muscle mass, without recoil after the end of admission. This tool, due to its property not to be converted into estrogens, is today called in the sports environment one of the most steroid-friendly for the body. The level of normal production of the hormone testosterone can quickly come to normal after the end of admission. The oral form of the drug, subject to taking about 40 mg every day, can lower the level two-fold. At courses, the duration of which is more than 10 weeks, it is mandatory to use the drug gonadotropin in parallel. Undesirable phenomena are rare. Methenolone does not affect the normal pressure values, and only if the dose specified in the instruction is exceeded is capable of provoking an aggressive condition, insomnia, hair loss and other unpleasant consequences. Feedback from those who have already decided to buy Primover and pretty successfully apply it to themselves, mostly positive. Some athletes write about a small set of typed muscle mass, however, if you carefully read the annotation to the drug, it says nothing about the fact that it promises a lot of muscle building. Since its main task is to preserve the existing relief in proper condition. Women note in the reviews that there is a kind of pain when the remedy is introduced. Thus, the main evaluation of the drug is positive; it is highly valued by athletes for the absence of the phenomenon of recoil, aromatization and so on.